Two Inches Shy… Almost an Ace! Yesterday afternoon once the work day was complete we hit the closest course for a quick 9-holes to wrap up the day. On the first par 3 to come our way I landed my ball two inches shy of the cup. For a fleeting moment I thought for sure this would be my first hole-in-one. While it was in the air I knew it was perfectly on target. I knew the distance was on point. My swing just felt right. I held my follow through knowing this could be the exact moment I finally could claim the elusive ace. As the ball hit the green it bounced oh so softly with little roll. I held my breath and my muscles instinctively tightened. …and then it stopped. UGH! I was so so so close. 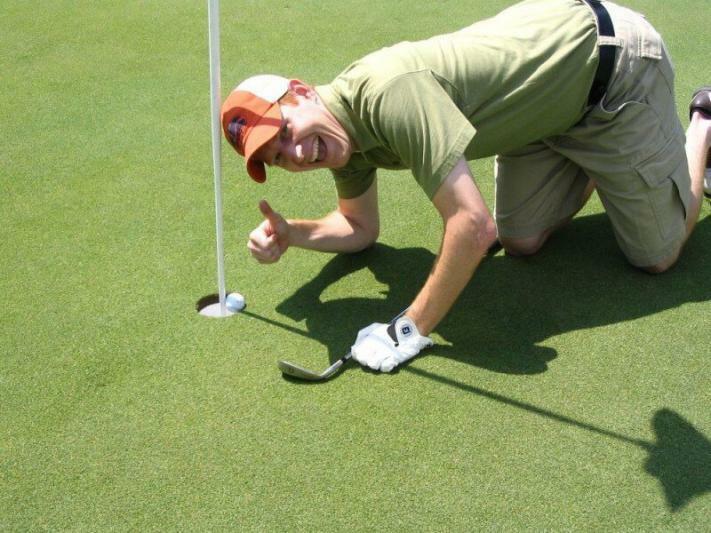 How happy and yet how mad would you be if your ball was just this close to your first hole-in-one? The only other time I’ve been remotely close was during a charity tournament at the Del Mar Country Club in which a brand new Jaguar was up for grabs for a $1 bet. I handed over my dollar and again had what felt like a perfect swing. My ball stopped just shy to the right three inches. Everyone was hoping it would go in as much as I was because I’m sure none of us had witnessed someone win a car in a charity tourney. I’ll still chase the dream! 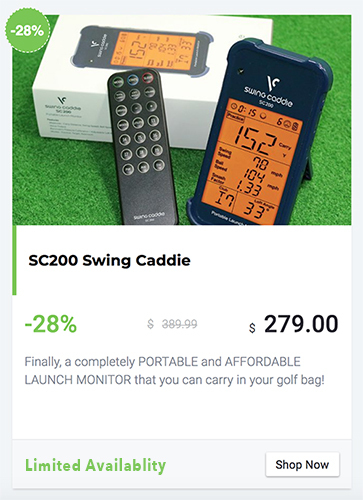 Every par 3 is a chance! …what’s the closest you’ve been? 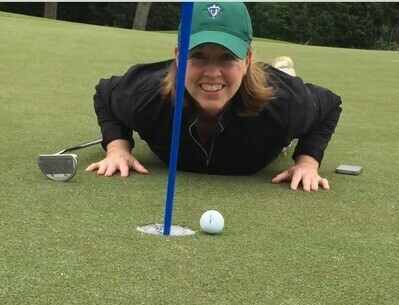 Was it a perfect shot or was it a perfect miss sculling off the fairway with a lucky bounce? 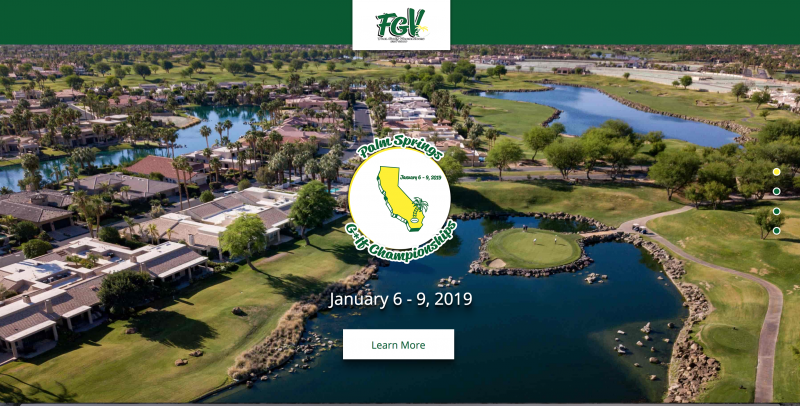 Not a SOCAL Golfer yet? Our half-year memberships are now available with promo code HALF2016 or try our newFREE membership option! 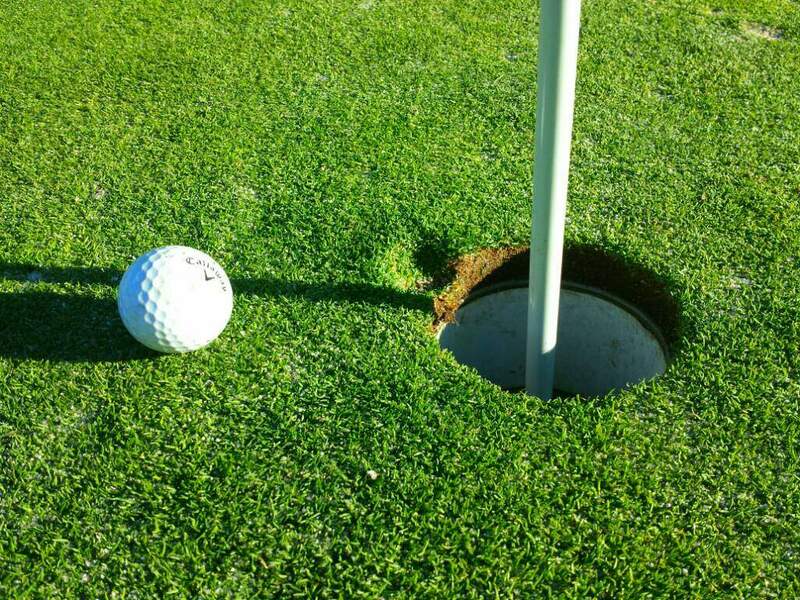 Posted in BlogTagged almost an ace, Callaway, golf, golf hole-in-one, hole-in-one, SCGA, socal golfer, Two Inches Shy... Almost an Ace!